The local organizer of the conference is Kathrein RFID together with University of Applied Sciences in Rosenheim. In case of detailed questions about the Venue details please consult the respective contact persons. by train: Salzburg main train station to Rosenheim (1:15h), see http://www.oebb.at/en/ . On the first day (21.10.2015), the hotel offers a pickup shuttle service from the train station in Rosenheim at 12:00 and 16:00. Please contact k.hollstein@kathrein-rfid.de for further details. On the first day (21.10.2015), the hotel offers a pickup shuttle service from the train station in Rosenheim at 12:00 and 16:00. Please contact k.hollstein@kathrein-rfid.de for further details. 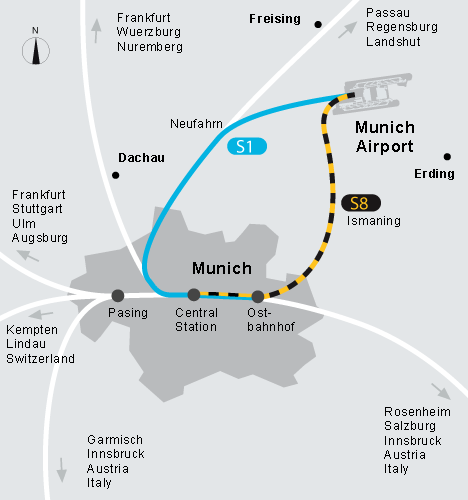 by Taxi – http://www.munich-airport.de/en/consumer/anab/taxi/index.jsp Prices will be around 130€ per trip. A limited number of rooms is pre-reserved for the event. The reservation is available till the 31th of July. For booking a room please contact diretly the venue and use “Kathrein” as a reference.